I broke my arm skating. What is it with PF and doing stupid things? I don't miss the injuries though. I dont do any exercise. Im awesome! 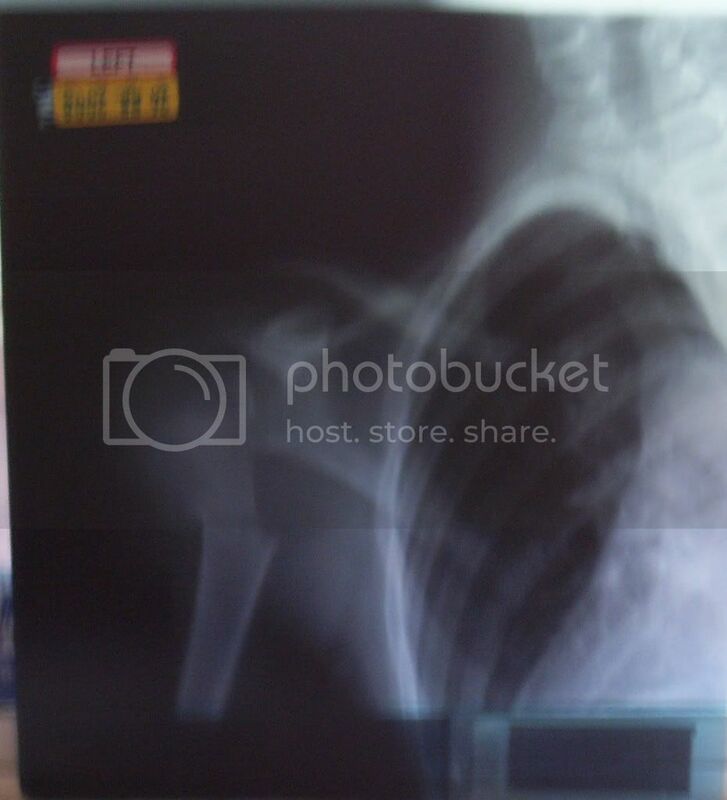 Yeah and i broke it bad but how it broke i dont need surgery. Pfft, start airsoftin'. Burn 2000+ calories/hour. But it doesnt look like the bone penetrated the skin, that would be bad bad. On a side note, I wonder why they took the xray from behind, and not from the front.